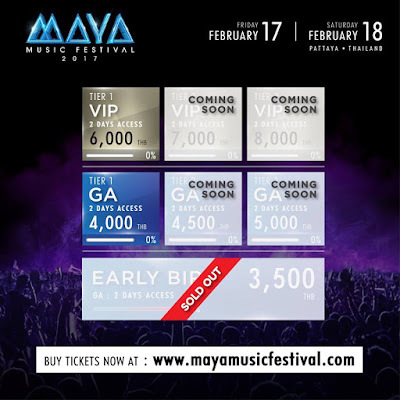 MAYA Music Festival Returns !!! 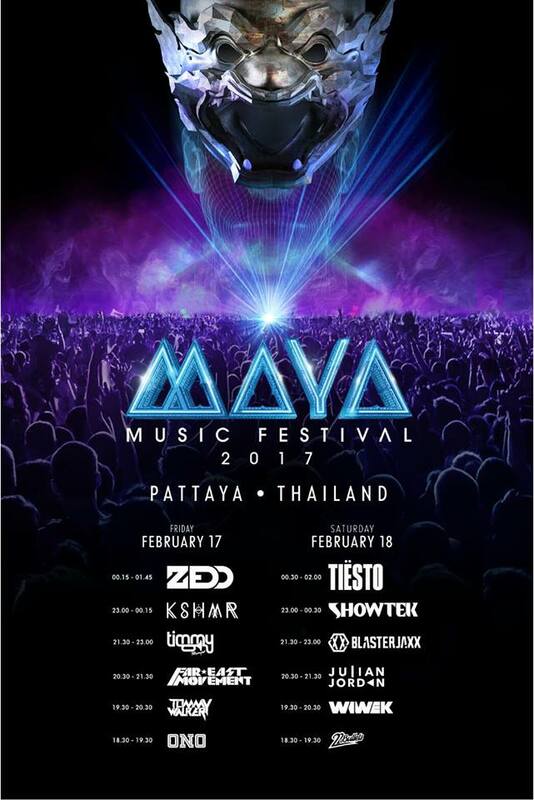 After the explosive debut of Maya Music Festival in Bangkok in 2015 and tremendously successful in 2016. This year for the first time will be a 2-day festival of dance & music (17-18 February 2017) taking place in Pattaya, Thailand. 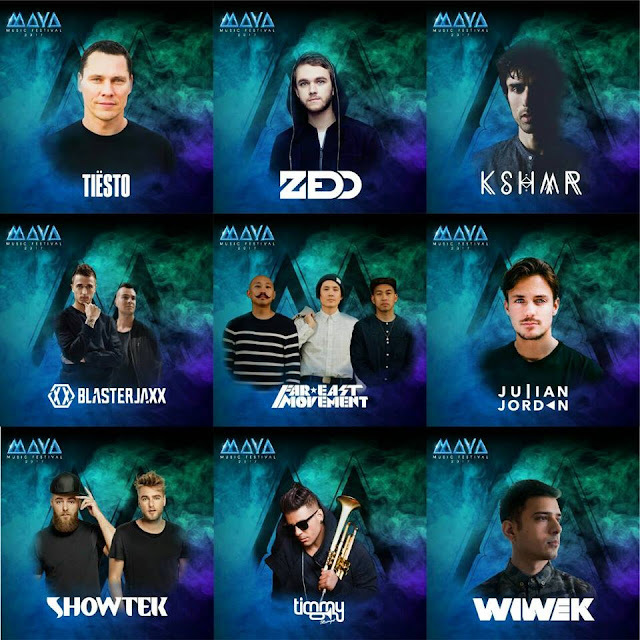 Headlined by the legendary Tiësto, Zedd, KSHMR, Showtek, Blasterjaxx, Timmy Trumpet, Far East Movement, Julian Jordan & Wiwek with Thailand”s most popular bands & artists. 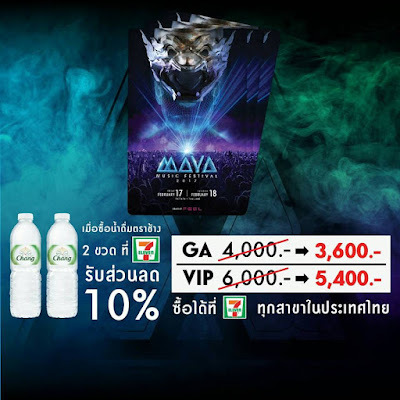 Maya is the fastest growing electronic festival in Thailand and has become one of the major players of Asia in the recent years. They combine the modern day music with the ancient Thai art, which is featured in the festival throughout its unique and astonishing stage design.